It seems that when the calendar flips over to February, we automatically start to think about love because - as we all know - February has been designated the month for lovers, highlighted Valentine's Day on February 14. While no one seems sure of how - or why - Valentine's Day became such a "hot" tradition, it can be traced to the ancient Roman festival of Lupercalia. Others connect the event with one or more saints of the early Christian church. The ancient Romans held the festival of Lupercalia on February 15 to ensure protection from wolves. During this celebration, young men struck people with strips of animal hide and women took the blows mainly because they thought the whipping made them more fertile. After the Romans conquered Britain in A.D. 43, the British borrowed many Roman festivals, possibly forming the link between that festival and Valentine's Day, because of the similar date and the connection with fertility. 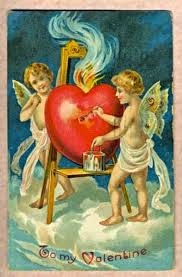 The early Christian church had at least two saints named Valentine. According to one story, Roman Emperor Claudius II in the A.D. 200s forbade young men to marry because he thought that single men made better soldiers. Allegedly, a priest named Valentine disobeyed the emperor's order and secretly married young couples. 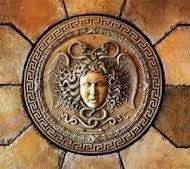 Another story tells that Valentine was an early Christian who made friends with many children but the Romans imprisoned him because he refused to worship their gods. The children missed him and tossed loving notes between the bars of his cell window. This tale may explain the modern-day tradition of exchanging messages on Valentine's Day. Another legend states that Valentine restored the sight of his jailer's blind daughter. Many stories relate that he was executed on February 14, around 269 A.D.
Pope Gelasius I - who finally suppressed Lupercalia by establishing the festival of purification, "dies februatus" - designated Feb. 14, 496 A.D. St. Valentine's Day. Whatever the reason, the tradition continues and fortunately for us, there are activities throughout the world to honor the special day. Norwegian Cruise Line's Norwegian Sky offers a very affordable 4-night roundtrip Valentine's Day cruise out of Miami departing on Feb. 10, 2014, with stops in Freeport, Nassau and Great Stirrup Cay, the line's private island. NCL also has a quick weekend cruise out of New York City if you don't have more time. Celebrity Cruise Line's Silhouette is offering a seven-night Valentine's Day cruise leaving from Ft. Lauderdale on Feb. 9, 2014 with stops in: Cozumel, Mexico; George Town, Cayman Islands; Falmouth, Jamaica and Labadee, Haiti (where they have a private resort), before heading back to Ft. Lauderdale. Spend Valentine's Day in Nassau, Bahamas with Celebrity Cruise Line’s five-day round-trip from Fort Lauderdale, Florida, departing Feb. 13, 2014. Valentine's Day coincides with President's Day weekend this year so if your kids are on vacation, you could opt for the 4-night Disney Cruise Line's Magic cruise departing from Port Canaveral, Florida on Feb. 10, 2014, with stops in Nassau and their private Castaway Cay in the Bahamas. Disney offers non-stop activities for the kids, assuring you and your significant other plenty of "alone time" in which to enjoy their adult-only areas - both on board and on Castaway Cay. If time is not of the essence, Holland America's M/S Prisendam departs on Feb. 10, 2014 on a 32-night cruise from Buenos Aires, to Fort Lauderdale, Florida, landing you in Rio de Janeiro, Brazil on Valentine's Day. 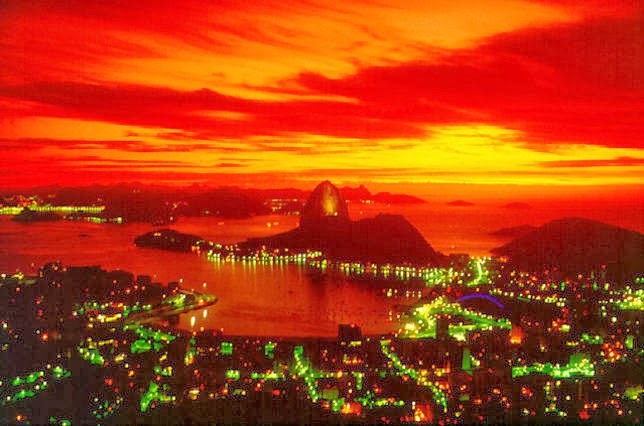 And, in case you were wondering...nothing spells romance like Rio! Interesting background on Valentine's Day. I'm glad we don't observe Lupercalia with young men striking people with strips of animal hide. Thanks so much for checking in. I couldn't agree more! Can you imagine what it would be like?? Thanks for sharing this interesting history!